Partnerships to fine-tune grid voltage and map out the smart grid neighborhood of the future. 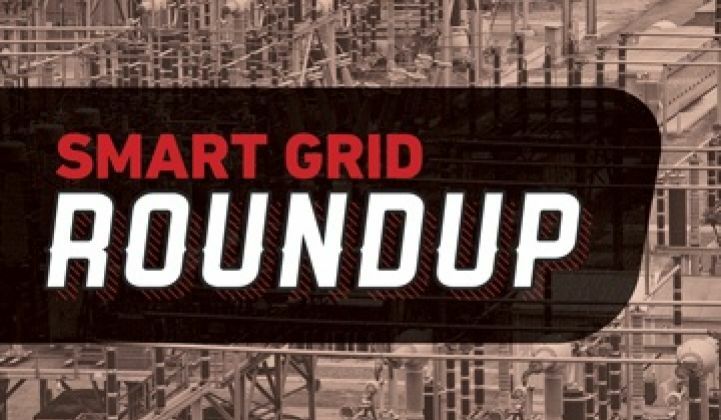 Here’s a roundup of some of the top stories in smart grid this week, starting with a deepening partnership for technology to fine-tune grid voltages to save energy, also known as volt/VAR optimization (VVO). The partners in this case are multi-state utility AEP and Providence, R.I.-based company UtiliData, which announced Wednesday that they’ve formed a research and development agreement to better match UtiliData’s technology to AEP’s grid. UtiliData, which raised an undisclosed investment from Braemar Ventures in February. has been running its AdaptiVolt conservation voltage reduction (CVR) technology since 2003 in pilots for utility customers, as well as big power users like lumber mills and universities. AEP is a longtime partner; it has deployed the AdaptiVolt technology on six circuits in Ohio and is in the process of adding it to nine more in Indiana, said Tom Weaver, manager of distribution system planning. (A circuit can serve anywhere from 800 to 1,200 homes and businesses, and AEP has about 5,500 of them for its 5.2 million customers across eleven states.) UtiliData is working with Silver Spring Networks on its AEP pilot, and interoperates with the smart grid networking startup’s wireless mesh system, as well as via standard SCADA networks. Wednesday’s announcement deepens that partnership by tying AEP’s operational expertise with UtiliData’s ongoing technology development work, Weaver said. In other words, “As we put projects in place, we can have a test-bed where they can further refine the results, and further improve their product,” he said. That sounds a bit like the deep vendor-utility collaboration that’s gone into Dominion Power’s Edge technology, which it developed with Lockheed but is rolling out as a product on its own. But AEP’s not taking that kind of ownership stake in UtiliData’s product, Weaver said. UtiliData is a smaller player in the VVO/CVR realm, and competes against giants like ABB, General Electric, Siemens and Schneider Electric, as well as a host of other mid-tier and up-and-coming companies. The decade-old company does distinguish itself in the use of digital signal processing (DSP), rather than script or model-based architectures, for doing its VVO work. Competitors like ABB and Schweitzer use DPS for its substation protective relays and other larger-scale automation projects, and Cisco’s smart grid architect Jeffrey Taft has written that DSP is the key to a truly smart grid -- although it does require heftier IT to run its real-time analytics. Another smart grid partnership that’s going to require a lot of hefty real-time analytics is getting underway in Irvine, Calif. right now. Led by utility Southern California Edison with a huge list of partners (big ones include Boeing, General Electric and SunPower), the $80 million, Department of Energy grant-funded project will test the interplay of energy-smart homes, solar panels, grid batteries, plug-in car chargers, CVR and self-healing circuits and communications and controls networks in a single neighborhood. Last week, SoCal Edison added up-and-coming geospatial and visual analytics startup Space-Time Insight to its roster of Irvine project partners. The Fremont, Calif.-based startup, which raised $14 million in a Series B round last month, is already working with customers like Florida Power & Light, San Diego Gas & Electric and the California ISO, and is one of Cisco’s new smart grid developer platform partners. In Irvine, Space-Time Insight will be correlating the flood of data coming in from all those systems and presenting it in a number of formats for grid operators to use, Steve Ehrlich, vice president of marketing, said in an interview this week. The startup’s special sauce is in normalizing and cross-referencing in-memory data to provide mapping and analytics tools that can run at high speeds with high accuracy, he added. Mark Irwin, director of technology development at SCE, told me this week that the utility and its partners have finalized the design of the Irvine project and have most of the equipment involved in manufacturing to date, with a plan to have all the gear in place by mid-2013. 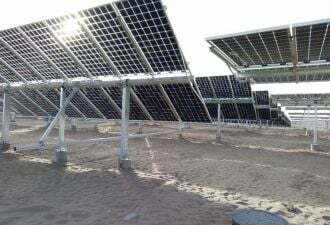 The project includes smart appliances, rooftop PV-to-EV charger systems, and four different configurations of batteries, ranging from a 2-megawatt substation battery to smaller residential energy storage units, or RESUs, he said -- though he didn’t provide names of the various vendor partners the utility was working with on each front.